Grethe Jürgens studied painting in Hannover at the beginning of the Golden Twenties. In her circle of like-minded artists, she began to capture her impressions of student life and the petty bourgeois milieu in quickly dashed off sketches. The young artist was so impoverished that during her studies she lived in what she referred to as a “dog kennel”—before she moved in, her lodging housed purebred dogs. Grethe Jürgens was very close to her fellow student Gerta Overbeck, and it is often difficult to distinguish between their early works. However, after a friendship that lasted ten years their paths parted when Jürgens' companion began a relationship with Gerta Overbeck. For financial reasons, until the end of the 1920s Jürgens worked as a commercial artist at the Hacketal Wire and Cable Works in Hannover. This was not exactly what a painter dreams of doing! It was during these years that she produced those paintings that would gain her notoriety: cool, realistic portraits of her fellow artists, stern depictions of the social environment and people from the “backyards of life”. Her most well known work is a contemporary document, Menschen vor dem Arbeitsamt (People at the unemployment office), painted in 1929. Grethe Jürgens was closely involved with the dealings of Hannover's GEDOK section (GEDOK = Gemeinschaft Deutscher und Oesterreichischer Künstlerinnen und KunstfreundInnen (Association of German and Austrian women artists and friends of the arts)) from 1929 until well into old age. In the final years of her life she continued to be active as a member of its jury. Her late work consists of graphic paintings that lean towards the abstract, in which however the figurative is never completely abandoned. New Objectivity was rediscovered in the 1960s. Together with Gerta Overbeck, Grethe Jürgens is considered to be its most distinguished representative. “Der stärkste Ausdruck unserer Tage”: Neue Sachlichkeit in Hannover. 9.12.2001 - 10.3.2002. Ausstellungskatalog. Hg. Christian Fuhrmeister. Hildesheim; Zürich; New York. Olms. Grethe Jürgens und Gerta Overbeck. 1982. Arbeiten der zwanziger Jahre. 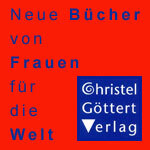 Ausstellungskatalog Bonner Kunstverein. Meskimmon, Marsha. 1999. “We Weren't Modern Enough: Women Artists and the Limits of German Modernism. Weimar and Now: German Cultural Criticism, 25. Berkeley, CA. University of California Press. Müller-Pieper, Renate. 1991. 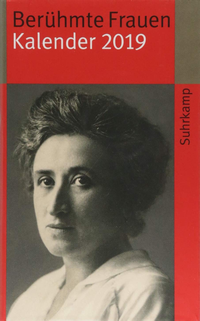 “Grete Jürgens (1899-1981): Unbeirrbare Künstlerin und eigenständige Frau”, in: Hiltrud Schroeder. Hg. Sophie & Co.: Bedeutende Frauen Hannovers. Hannover. Fackelträger. S. 187-199. Scholz, Heike. 1999. Am Rande des Blickfeldes: Grethe Jürgens – eine Künstlerin der zwanziger Jahre in Hannover. Dissertation, Marburg. Seiler, Harald. 1976. Grete Jürgens. Göttingen. Musterschmidt. This Fem-Biography was sponsored by the city of Hanover.